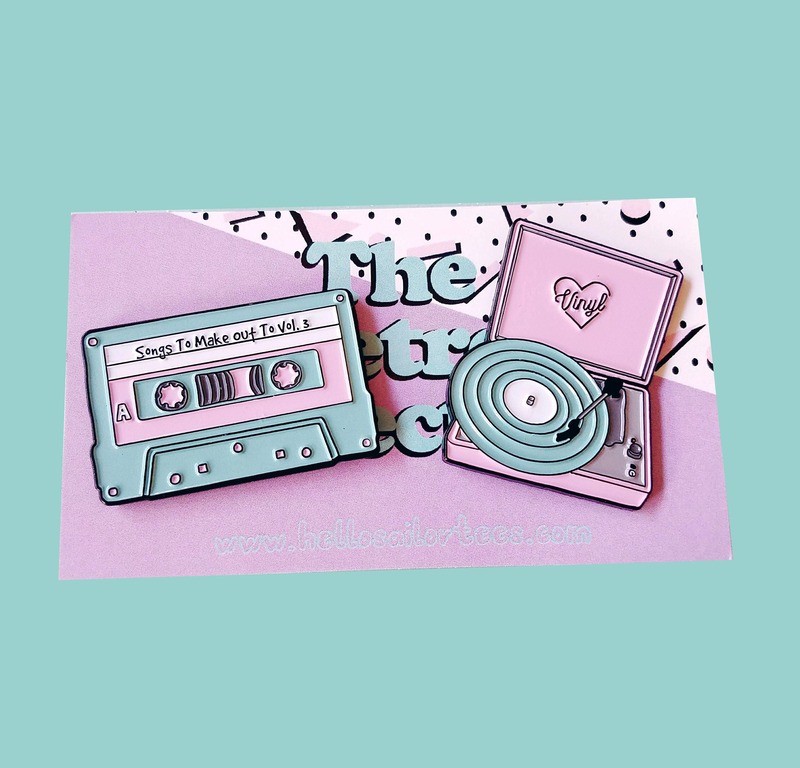 Cassette & Vinyl Record player pin pack enamel pins. Approx 1 1/2" big, soft enamel pins with accompanying backing card. Perfect for the music snob in your life!